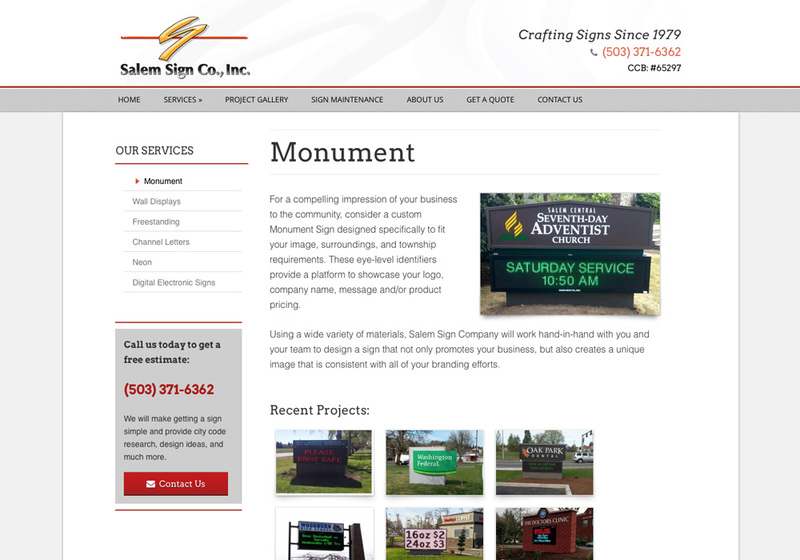 Being in the sign business for over 30 years, Salem Sign knows the importance of a good marketing presence. 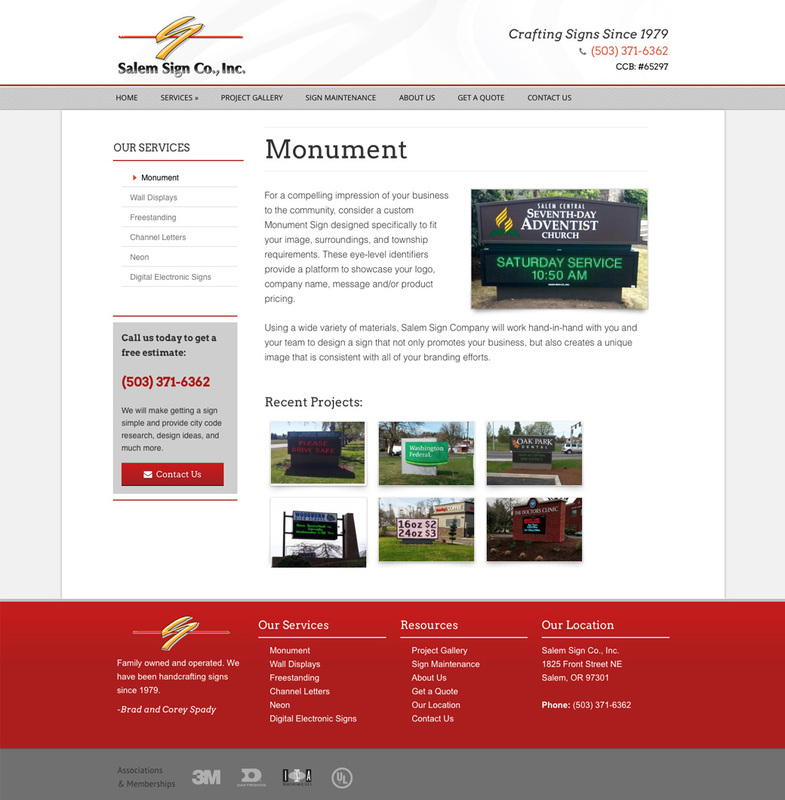 That is why they turned to us to update their website and give it an updated look that really focused on highlighting their work. 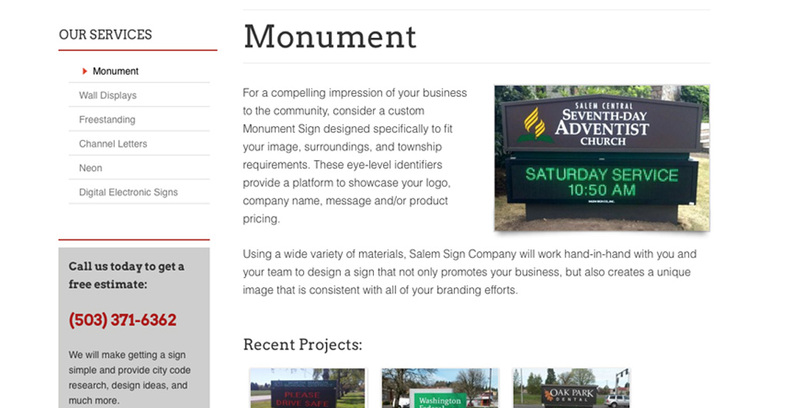 Salem Sign, like most businesses, had a nice looking website that didn’t really show off their projects. 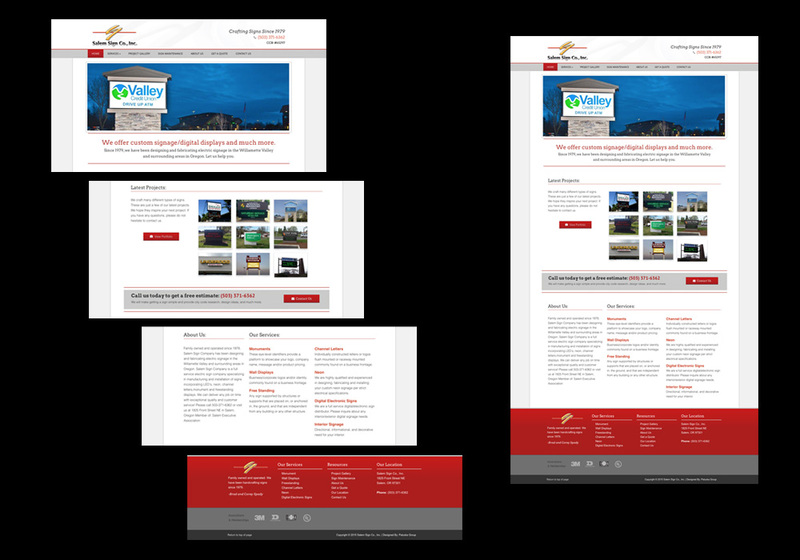 So we kept the overall design and added a custom content management system to show their latest projects in a beautiful portfolio and throughout the services pages. 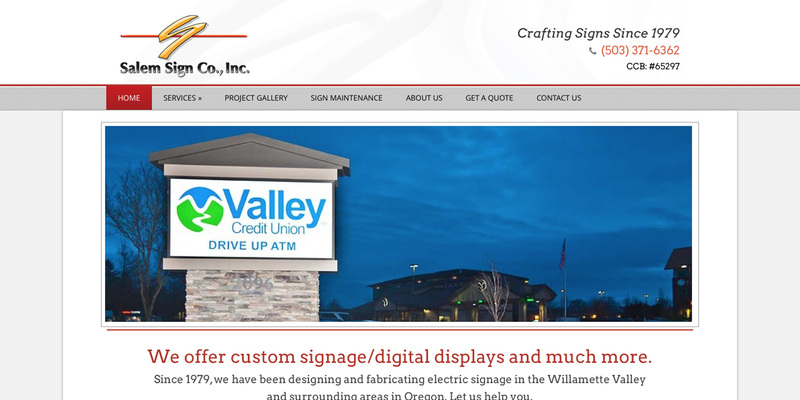 Salem Sign is constantly installing new signs and showing their latest work was a priority. 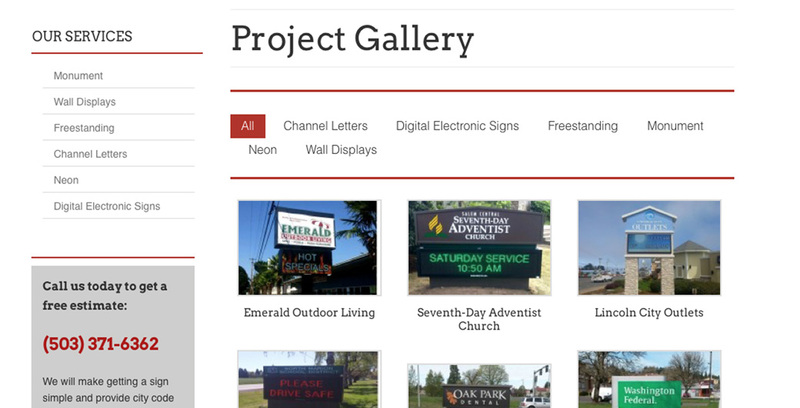 So we created a section on the homepage that pulls that latest 9 signs that they have added to the website. 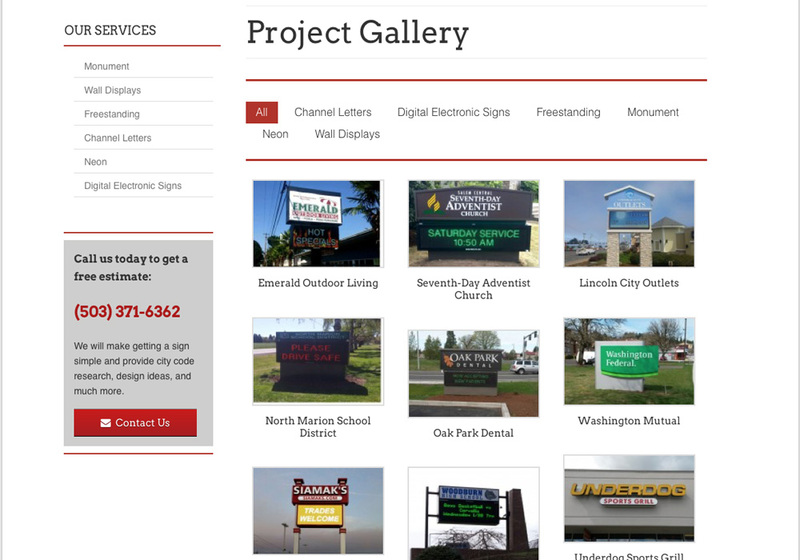 This section is updated each time the website portfolio is updated. 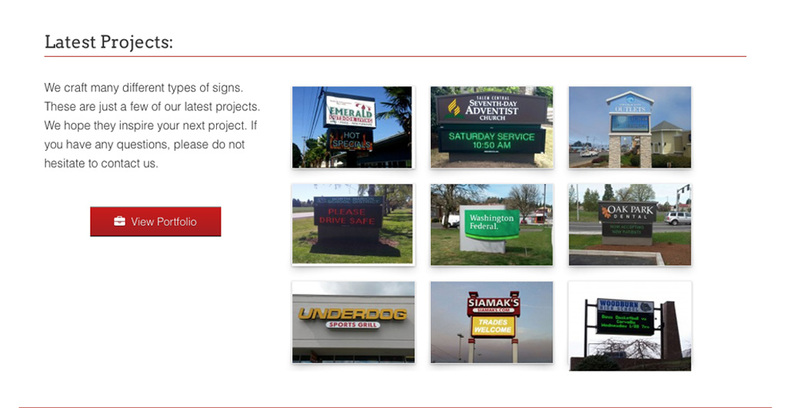 Each page in the services section has different types of signs associated with it. 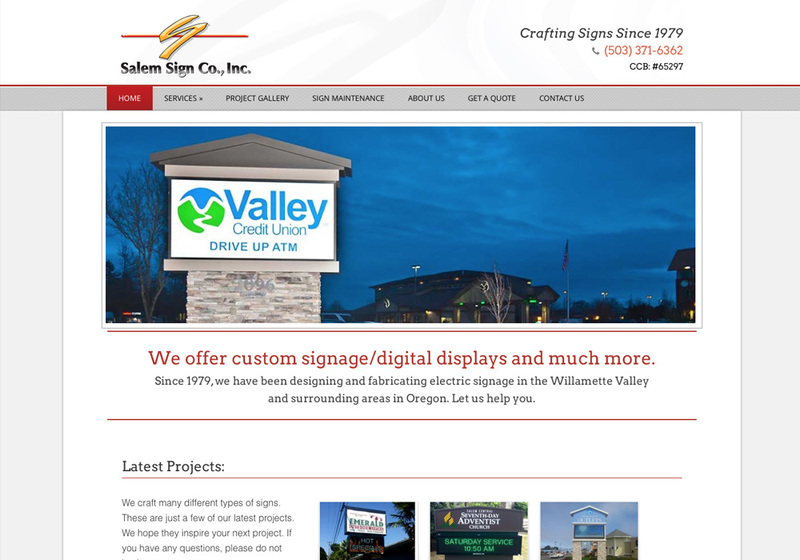 When Salem Sign adds a specific type of sign, it will automatically be placed on this page so that customers will see fresh sign ideas that Salem Sign has created as the site is updated. 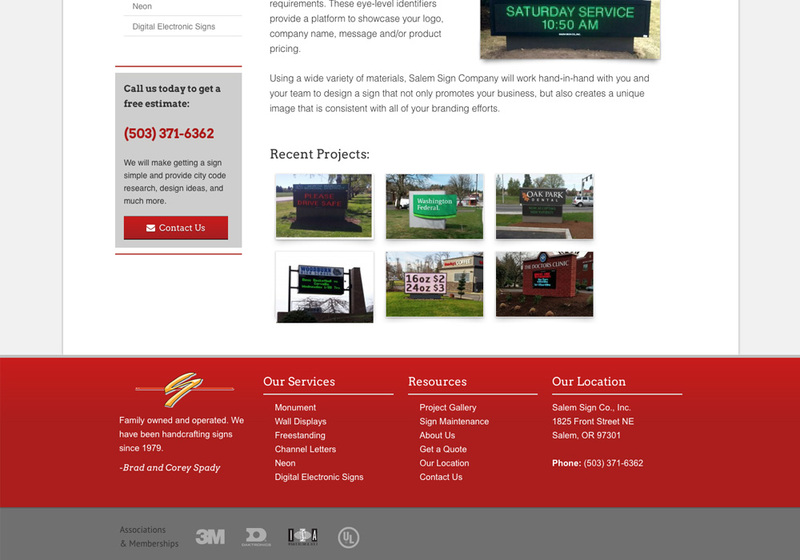 Salem Sign is constantly adding signs to their portfolio and while we could have helped, we designed a very simple administration page that allows their employees to quickly upload new signs and keep the site fresh. 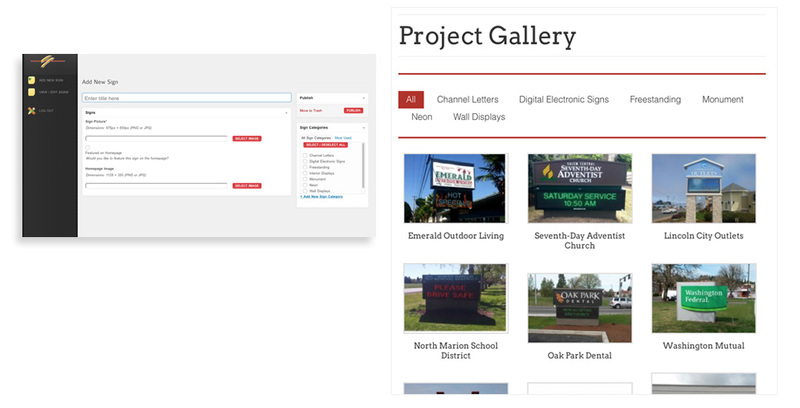 Once a new portfolio piece is created, the sign will show up on the homepage, the respective services page, and the portfolio all after clicking “publish”.